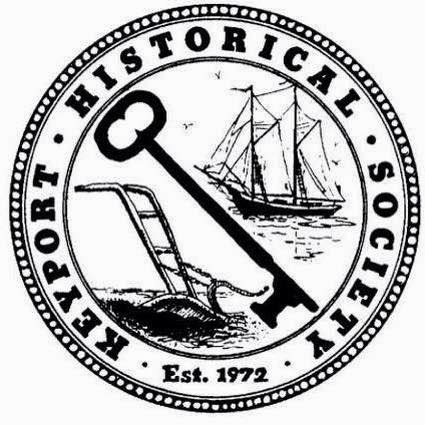 Organization of the Week: Keyport Historical Society ~ The History Girl! This week, I am featuring the Keyport Historical Society. The Society was founded in 1972 after local concerned citizens salvaged some items from the historic Kearney Mansion before it was demolished. The salvaged artifacts created a need for a location where they could be kept and displayed along with other Keyport memorabilia. In 1976, the Society opened a museum in a building that was originally owned by the Keansburg Steamboat Company. The museum was lost in October 2012 to Hurricane Sandy. Floodwaters surged into the building, knocking down walls and damaging hundreds of artifacts. Despite their loss, recovered artifacts have been moved and are now awaiting a new permanent location. The Society continues to be active and hosts an annual yard sale, arts and crafts show and sale, a holiday house tour, and monthly free historical presentations open to the public. The Keyport Historical Society relies on memberships, fundraising, and countless volunteers to continue its mission. For more information on programs, special events, and exhibits hosted by the Keyport Historical Society or to become a member or volunteer, please call 732-739-6390 or visit www.keyporthistoricalsociety.com.